An IT university student who had hacked into a computer network and within five hours had caused a loss of Rs. 19.3 million and had demanded a ransom of Rs. 5 million from the owner of the company had been arrested today (29) by the Trincomalee Police Headquarters. The IT student had hacked into an international computer software company headquartered in Trincomalee. According to the statement given by the owner of the company Balakumaran to the police, by hacking into the computer network it had caused losses to 36 of its companies in Britain, India and Sri Lanka. 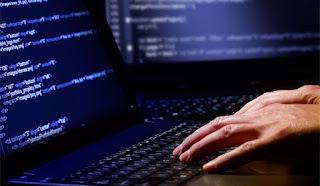 The main suspect in this crime is a university student who had come first in IT in the Trincomalee district at the GCE A/L examinations and is currently studying for his IT degree. The suspect’s older brother works for this company and he had given the pass word of the computer network to his younger brother who had used a lap top computer to hack into the computer network.